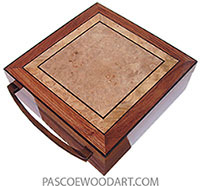 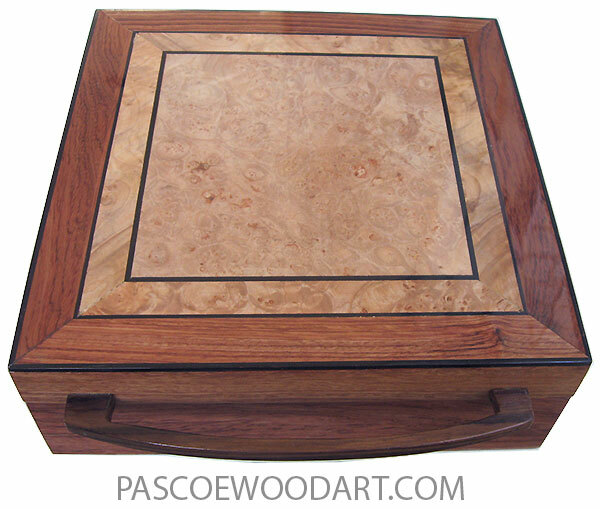 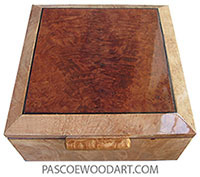 9-5/8" x 9-3/4" x 2-3/16"
This box is made of 1/8" thick bubinga veneer over alder. 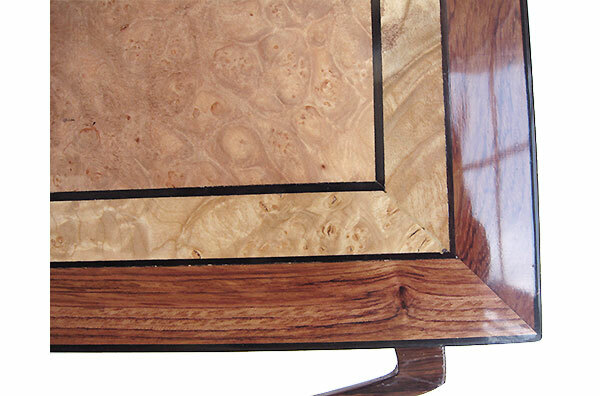 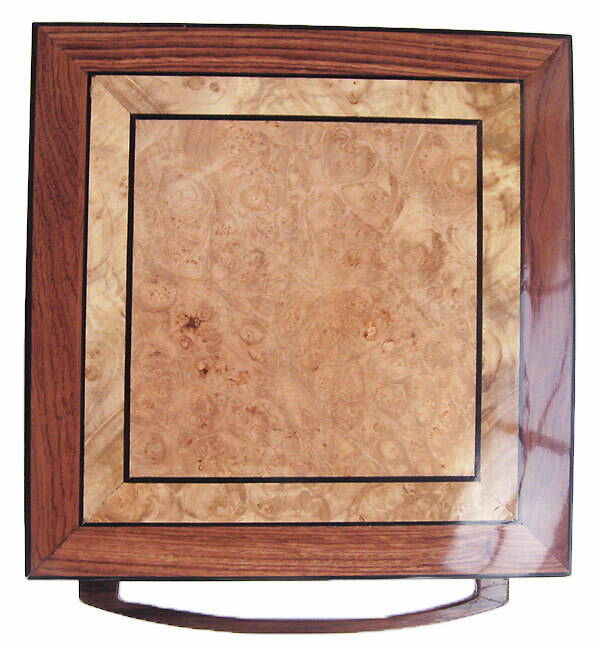 Top is maple burl center framed in maple burl and bubinga with African blackwood stringing. 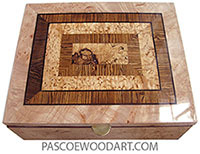 Indivisually handmade wood box, made of bloodwood with spalted maple burl center top. Last updated January 8,, 2019. 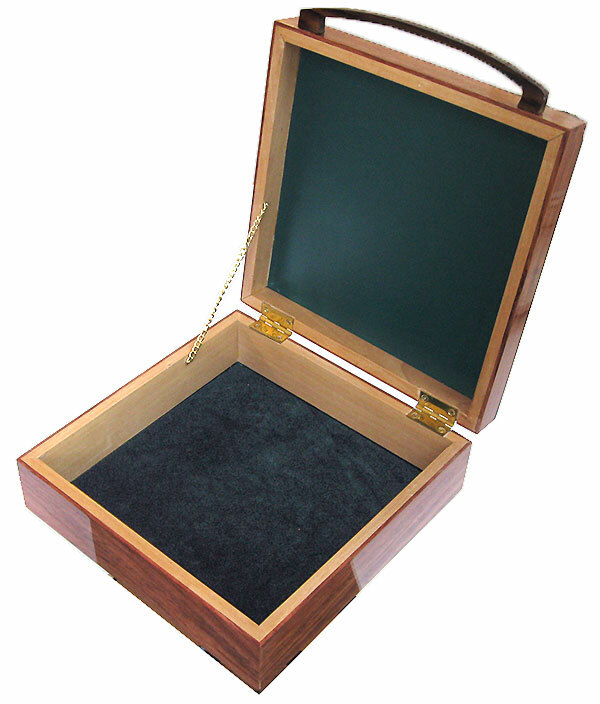 Posted November 17, 2016.